Humans cutting down forest land to farm is nothing new. However, charging rural farmers for causing global warming is. A controversial formula is quantifying the damage villagers have to pay for their small scale farming. Now, the villagers are taking a stand against what they know is wrong. 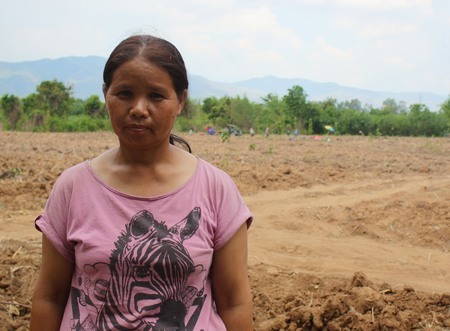 PHETCHABUN – Early one Thursday morning, a gun was pointed at Ms. Kwanla Saikhumtung, a 34-year-old mother, because she was farming. The man who pointed the gun was one of ten armed officers from Phu Pha Daeng, the local wildlife sanctuary in Lomsak district. 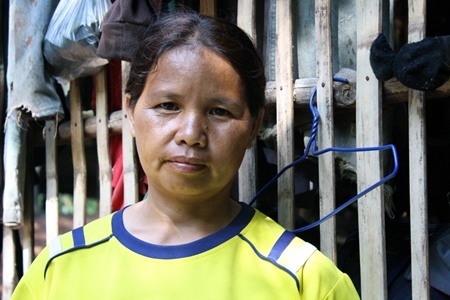 After observing the villagers for three days, the officers finally informed Ms. Kwanla and twelve fellow villagers from Huay Kontha that they were trespassing on wildlife sanctuary land. They demanded that the villagers come to the police station to talk with them. They refused. The villager that hired them paid taxes on the plot, leading the villagers to believe they had a right to work the land, and they worried about finishing their work. The officers quickly became annoyed. One threatened to shoot any villager that resisted the officers’ orders. The officer lowered his gun. That night, the officers marched the reluctant villagers through the community and drove them to the police station. This incident was the beginning of a seven-year-long legal battle, pitting Ms. Kwanla against the Thai government. She and the other twelve villagers — the youngest only sixteen at the time — were first charged with trespassing. The real shock, however, came when they were slapped with a 470,000 baht fine for contributing to global warming under the charge of causing environmental damage. As the landowner was paying taxes on the plot of land in question, he had the right to grow crops on it. Since Ms. Kwanla and the other villagers had been hired to harvest his corn, it had seemed that they were not breaking the law by being there. However, unknown to the landholder, his plot overlapped with the wildlife sanctuary land. The Royal Forestry Department (RFD) fined the villagers for cutting down trees and farming, drawing from the 1992 National Environmental Quality Act which forbids “destruction, loss, or damage to natural resources owned by the State.” Their fine was determined according to a formula used to calculate environmental damage. The formula measures the increase in temperature caused by cutting down trees. Any increase in the land temperature shows ‘global warming’. In essence, cutting down trees to farm corn leads to global warming. The charges that Ms. Kwanla and the other villagers face shed light on an emerging trend in Thailand. Land dispute issues are becoming increasingly common. 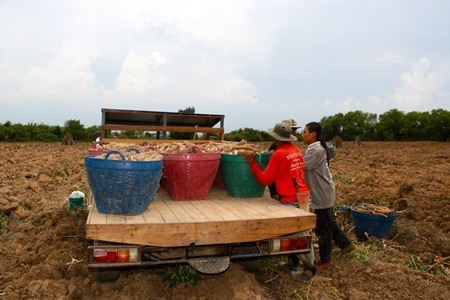 According to Pramote Pholpinyo, coordinator of the Northeast Land Reform Network (LRN), there are currently 35-40 “global warming” cases against villagers in Thailand, with charges amounting to almost 33 million baht. While many of these trespassing charges are currently on appeal, the LRN has launched a countersuit against the Department of National Parks, Wildlife and Plant Conservation in the Administrative Court of First Instance. Thailand’s forestland rapidly decreased throughout most of the 20th century. By 1998 only 25 percent of the original forestland remained. Since then, the Thai government, through the Ministry of Natural Resources and Environment (MNRE), has taken a hard-line stance on reforestation by creating a network of national parks, reserves, and sanctuaries. As a result, between 1979 and 2004, forestland tripled. This system has undoubtedly been effective in increasing forestland, thereby decreasing greenhouse gases. The borders of these areas, however, were created with Global Positioning System (GPS) technology rather than with the more accurate Geographic Information System (GIS) technology. As a result, borders separating the forest areas and village farming areas have become unclear. These border disputes have also led to debate over villager’s historical claims to the land. A veteran RFD official, Dr. Permsak Makarabhirom elaborates, “The proclamation of an area as a national park effectively makes ‘illegal’ residents of people who had settled these areas years before the proclamation.” The overlapping claims on protected forest areas are affecting approximately two million people across Thailand. The global warming fines that the villagers must pay are calculated using a formula created in the 1994 by Dr. Pongsak Wittawatchutikul, a National Parks Department specialist. With this formula, a thermometer is used to measure the temperature of soil in degraded land and soil in forest land. The difference in the temperatures is calculated. Then an estimate is made about the amount of energy it would take to cool down the hotter deforested area using an air conditioner. This calculation, along with an approximation of the number of trees cut down and the amount of soil loss, determines the fine. A National Parks Department report says the formula was created with the intention of “finding the value of ecosystems with the support of academic people from human rights committees.” Lawyers involved in the countersuit question the legitimacy of this formula, first used in court in 2004. Even Dr. Pongsak himself came out against the use of this formula to fine villagers. In an interview with the National Human Rights Commission, he recently said, “I accepted that some parts of the formula needed to be fixed, and I’ve tried to make it the most accurate and correct,” but due to the complexity of the government systems and procedures, he has not been able to make such adjustments. Today, Thailand is the only country that has attempted to quantify damages and fine its citizens for contributing to global warming. The Department of National Parks also admits that Thailand is the first country to even think of charging citizens in this manner, says Mr. Kristada. If used fairly, the Environmental Quality Act holds much potential for mitigating climate change in Thailand. 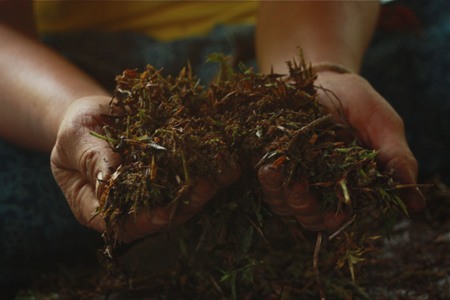 According to Mr. Kritsada, “the environmental law was intended for the people who destroy the environment to get it back to its original state.” However, to get to the root of the problem, the relationship between industry and the environment must be further scrutinized if the true perpetrators are to be held responsible. While she has not been to court since last February, and does not know when her next court date will be, she remains hopeful. 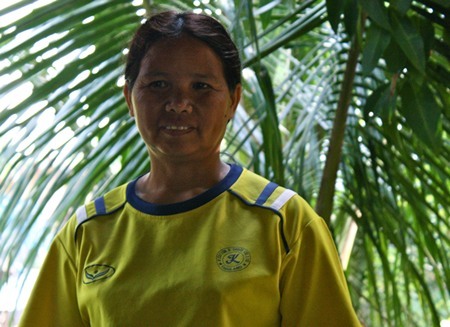 Her village stands by her side in support, because she represents their communal struggle, and that of hundreds of other farmers throughout Thailand. No longer able to harvest corn since the lawsuit, Ms. Kwanla and her fellow villagers now harvest cassava and hom jean, a local onion variety. Since being charged with global warming, villagers have begun working on farms farther from the reserve, harvesting cassava. The man in red was one of the thirteen villagers who was charged along with Ms. Kwanla. 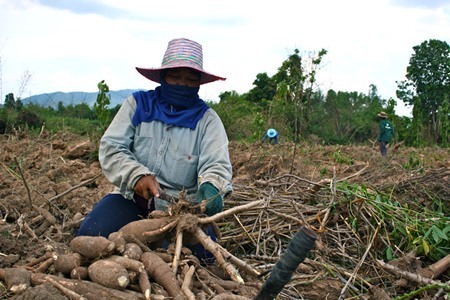 A fellow villager labors in the field harvesting cassava. Every morning the villagers must wake up extremely early to travel to the field, as it is located thirty kilometers outside of the village. Standing in front of her humble home in Huay Kon Tha village located in Petchabhun Province, Ms. Kwanla prepares to join her fellow villagers at the nearby cassava fields. Ms. Kwanla uses charcoal to cook her breakfast of an omelette and grilled frog accompanied with the ever ubiquitous sticky rice, a common meal among rural Thai villages. 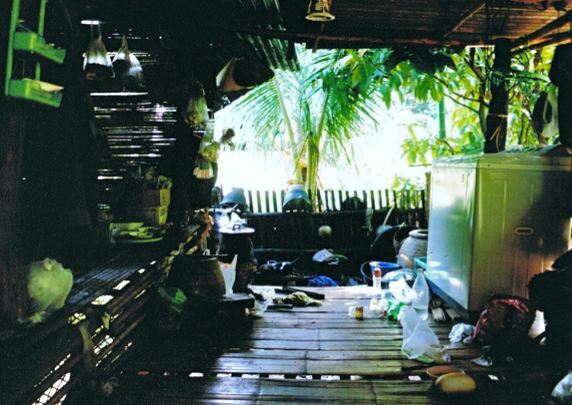 While being charged for contributing to global warming, Ms. Kwanla’s regular electricity use consists of only two light bulbs, a television and a washer and dryer..
King Bhumibol Adulyadej has said, “has the forest trespassed the people, or have the people trespassed the forest…this problem has never been solved.” For Ms. Kwanla, this statement is all too true. Sitting in her home, Ms. Kwanla discusses how the charges have affected her husband and her two daughters who are all currently living at home with her. Ms. Kwanla’s home is comprised of two small rooms. 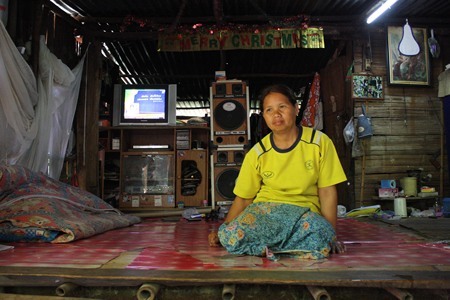 She uses little electricity other than two light bulbs, a television and a washer and dryer. Since being charged after harvesting corn Ms. Kwanla has begun growing and selling hom jean, a local variety of onion, on her farm. You don’t have to be rich to devastate the environment but it helps. 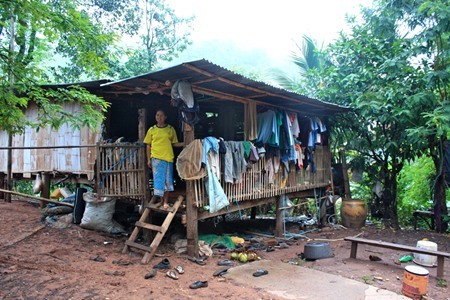 In general, poor individuals have a much smaller environmental footprint than rich ones. This fact has undermined the feeling of moral superiority of those of us with few or no children but whose weekly garbage now needs to be wheeled out rather than carried. Everybody who has seen the television programme about the recyclers of Mumbai is astonished at how efficiently a poor community uses resources. Yet none of this means that poor, marginalised people, even people battling starvation can’t also do serious environmental damage. The problem with the authors of this article is that they don’t care, if after absorbing the cherry-picked evidence, the sentimentality, and the loaded prose, their readers go away with the false impression that the poor can do no environmental harm. They have succeeded in their job of advocacy. It is no surprise that they come from the land of lawyers and salesmen, where tens of thousands of innocent people languish in prison because of cherry-picked evidence; and miserable hills of flesh lurch painfully along, victims of the successful advocacy of unsuitable food. RN England have you been hanging about with Chris Coles again? A fascinating and troubling story –one in a long tradition of blaming the victim of environmental degradation…. 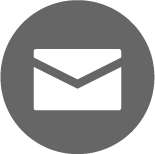 One note – GIS is not more accurate than GPS. GPS data is one of many types of data that can be used within a GIS database. “GPS” is a technology for measuring position: as such, it can be described by quantitative measures of precision and accuracy (which are not the same thing). Depending on the period when the measurements were made and whether they were made with civilian-, survey- or military-grade equipment, it might be accurate to anything from tens of metres to centimetres. 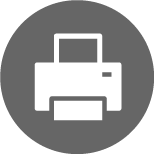 “GIS” is a generic term describing tools for managing and presenting geographical data. The accuracy of a GIS is just the accuracy of the data it happens to contain. Being recorded in a GIS doesn’t make the data any more accurate. So it’s incorrect to talk about the greater accuracy of GIS when you really mean the greater accuracy of whatever technology was used to generate the data it uses. I think the point is, they’re going about it the wrong way in solving it. If they’re even trying. I’ve seen first hand of how stupid some of the poorer folks can be. Shoving trash down the sewer, Burning heaps of grass/trash on a whim. Yet, you wouldn’t think that arresting them would do any good. Unless there’s an incentive, their habits won’t change. It’s all crap. The 1% vs the 99%. Map Tha Phut is going full bore, the Bangkok Post wouldn’t even publish the 10 point request of the local people to their elected government before their government threw it away. The Thai ‘elite’ are hopelessly corrupt and enjoy crushing ordinary Thais while destroying Thailand themselves. Now the elected government has collapsed. The LRN had better watch out that its not slapped with lese majeste charges for criticizing the gangsters in the Royal Forestry Department as Chaiwat Limlikhit-aksorn has done against the NHRC for standing up for the human rights of people in Kaeng Krachan national park. There may be more than three times the ‘forestland’ in Thailand in 2004 than in 1979, but I’ll bet there’s less forest. Moving borders by satellite in Bangkok is just an excuse to enrich insiders at the peoples’ and environment’s expense. This is an extremely complex problem. Traditional verse state rights, the right to an existence, and above all education. South of the border in Malaysia state reserve forest land is being cleared illegally with no enforcement. This is a major issue not only in Thailand but around the world. How long will it be before the vast jungles of Equatorial Africa are cleared? On the other hand when I hear middle class academics from Western countries who tell third world communities that they shouldnt clear these lands, I think how hippocritical this is because most land in developed countries was cleared over a century ago. What are the answers to these problems? In 2012 we dont yet have a solution and are only just idnetifying the problem. Bizarre: Farm workers threatened at gunpoint for ‘causing global warming’ by harvesting crops. | Watts Up With That? The two statements are not mutually supportive. Increasing forest land does not necessarily reduce so-called “greenhouse gases” and any such claims can only be produced on a computer, no accurate measurements can be made to validate the claim. In any event, it is apparent that the globe has been in a cooling cycle for some time, thus the role of CO2 in controlling the temperature of the planet is vastly overstated, relying on the use of complex feedbacks in computer models to push the claims. “a thermometer is used to measure the temperature of soil in degraded land and soil in forest land.” To describe farmed land as “degraded” shows just how detached from reality we have become. The land is enhanced by crop production and it means that poor people get to eat. It is not surprising that there would be a difference in temperature of soil exposed to the sun and that which is protected from the sun by forest. To claim that the difference represents “global warming” is quite bizzarre. “In 2005, a single, huge, violent storm that swept across the whole Amazon forest killed half a billion trees”. (AGU, July 2010). The world has not got warmer since then. One needs to ask the question, who is profiting from the re-forestation, no doubt someone will be reaping carbon credits from this activity, which are not available to the poor farmers who are seeking to feed themselves and their families. Perhaps if they were growing bio-fuels, so that food can be burned for fuel in the West and make people feel good, they would not be so persecuted.